Are private fields really private? 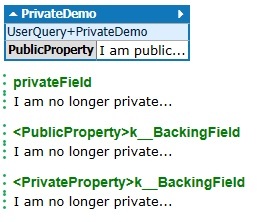 As the saying goes, private fields and properties of a class are not available outside the class. But are they really private? Well, they are not; once they are in memory, anyone can tap in to them.